I started wearing glasses in the first grade, age 6. Both make my eyes tired quickly, with constant dry eyes, and glasses fogging up or sliding down my face. I like to go to a lot of live events (concerts & games), LASIK has given me sight to see these events like never before, extreme clarity! Not needing to worry about packing all the essentials that come with contacts or glasses is so freeing. 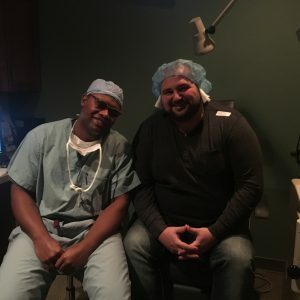 I would highly recommend LASIK, I am able to see much clearer and farther than I ever was able to with glasses or contacts. 100000% would recommend Indiana LASIK Centers. From the time I walked into the facility, I felt welcome. I felt like a member of their family. The staff and doctors are extremely nice and walk you through what to expect. Even through post-op, they continued to check in on me to make sure I was doing well.